Man, I love your work dude. Seeing that many beautiful, pristine tanks all in one spot gave me goose bumps! You are one of the people that make this hobby truely amazing. Looks awsome. Just don&#39;t fight any railgun heavy tau armies. C&#39;mon, everyone&#39;s a tread head at heart, right? 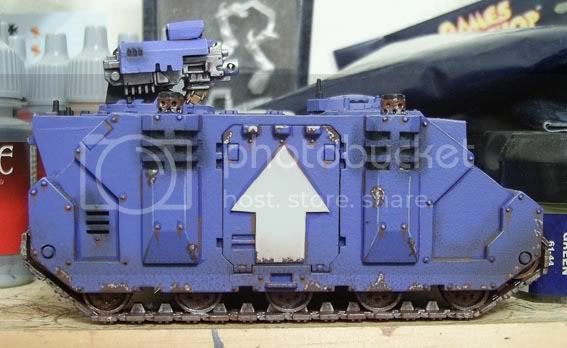 Nothing says &#39;Tremble before the Emperor&#39;s wrath&#39; quite like a legion of rolling steel. Personally, I like my tanks muckier but that&#39;s some really nice work Gareth. Aha, but nothing is more effective than a sqadron of Hammerhead Gunships, Skyrays and Devilfish APCs raining death from above! 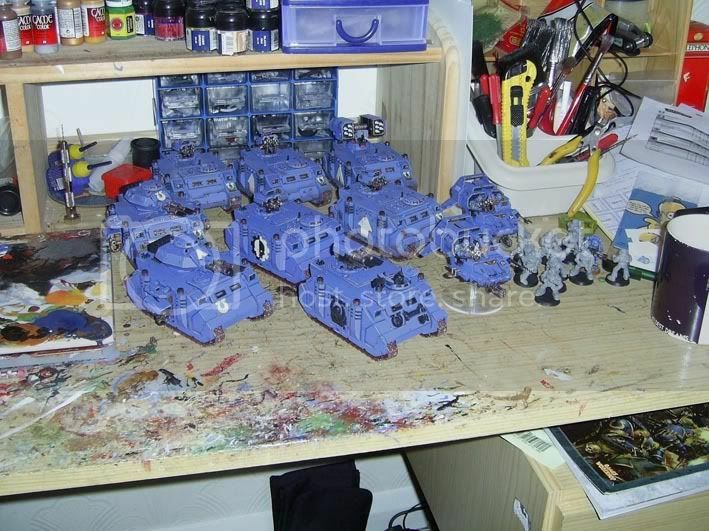 Excellent tanks Gareth, I hope my Tau "Air Cavalry" will look almost as good when finished. hah. your right tom. There is no substitute for a giant iron rolling slab of death! and in numbers! Seriously don&#39;t worry about some weirdo&#39;s saying your work isn&#39;t as good as it used to be. Your work is amazing, we want to see as much as you paint! I wish I had the money allowance you do.